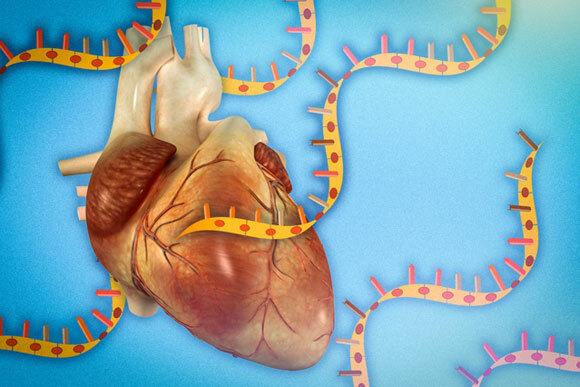 New research details how biologists from MIT deciphered the structure of one type of long noncoding RNA and used that information to figure out how it interacts with a cellular protein to control the development of heart muscle cells. “Emerging data points to fundamental roles for many of these molecules in development and disease, so we believe that determining the structure of lncRNAs is critical for understanding how they function,” says Laurie Boyer, the Irwin and Helen Sizer Career Development Associate Professor of Biology and Biological Engineering at MIT and the senior author of the study, which appears in the journal Molecular Cell. MIT biologists have deciphered the structure of a long noncoding RNA known as Braveheart. 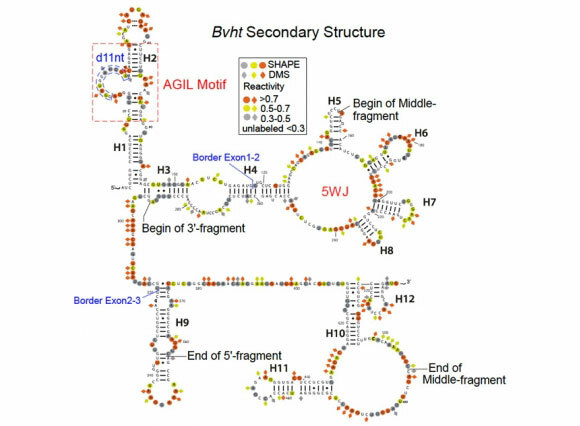 They found that the AGIL motif, at top left, is critical to the molecule’s function. 1 Comment on "MIT Biologists Reveal How lncRNA Helps to Control Cell Fate"
Non-coding DNA which translates to non-coding RNA was hitherto considered to be junk and now it assumes very great importance in the life formation. Non-coding DNA formed switches to regulate the tissue growth of specific organs.Now non coding DNA determines the fate of the tissue also . All tissues should undergo apoptosis or fail to die and this non coding DNA through incRNA (Non coding RNA) which is an interference RNA decides the fate of the cell. When cells don’t die it becomes cancerous. If the cell dies very soon it is a degenerative disease. Birth , Growth and Death are the regimen of each and every cell which should be ordained regularly in the life. This is an eye opener for the new vistas in the study of genetics. Thank You.